It’s Williams’ World again: So now what? 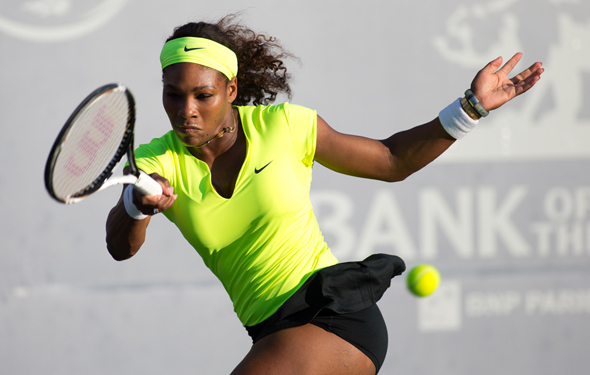 ISTANBUL – The TEB BNP Paribas WTA Championships did not end with a thud, but it sure would have been nice to see any player but Serena step up and play at an A-plus level and really challenge the great Williams for the crown. 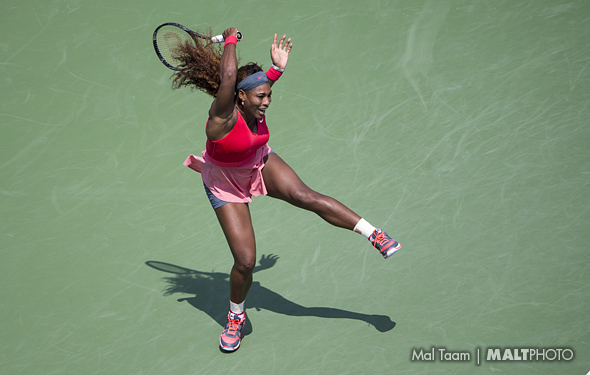 In the last two days of the Championships, Serena was there for the taking. She was exhausted, had lost some power on her serve and groundstrokes and was not moving particularly well. But she willed herself to victory, because she has such a large heart, so much skill and so much know-how. Jelena Jankovic, who has played her so tough in the past, folded in the third set of their semifinal. 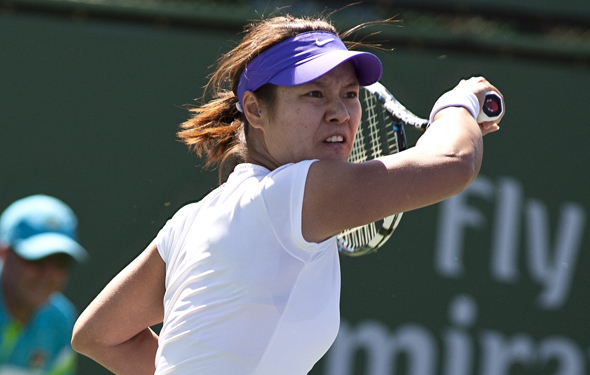 Li Na, who has so much talent, completely ran out of steam in the last set and half of her 2-6, 6-3 6-0 loss to now four-time WTA Championships winner Williams in the final. Li appears to have enough talent to play with Serena, but she does not have her keen focus or self-belief. Unlike Serena, she does not have fathomless mental reserve. Here’s my take on the final. The WTA Championships certainly missed the injured Maria Sharapova’s intensity level. She is not as skilled as Williams, which is clear by their head-to- head record, but she comes to play every time out. She does not complain or offer excuses and she continually pushes her self in every match, even if she has little chance of winning. The same cannot be said of most of the rest of the tour. 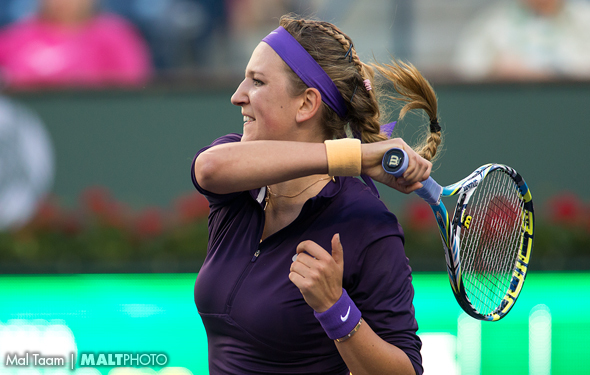 Victoria Azarenka is terrific player and was the only woman out there this year who showed she was capable of going toe to toe with Williams as she beat her two times – half of Serena’s four losses. But she had a forgetful fall, only winning one match, complaining of burnout while Istanbul and then showing she is still overly sensitive when it comes to criticism when she decided to play on against Li Na with a bad back when she should have retired. She didn’t want to be termed as a physically fragile player again, but she knows she still has something to prove in that department. However, in that instance, when she had nothing left to offer on court, she should have called it a night. Anyone who would ripped her for that would have been clueless. While Jelena Jankovic was fun to have around because she is such a terrific quote and can be very personable, she did go 1-3 at the WTA Championships, which is not exactly an indication that she will meet her goal of becoming a top 5 player again. Agnieszka Radwanska looked tired and needs to reassess her schedule. Sara Errani gave it all in every match but she’s still lacking weapons. Petra Kvitova is a talented yet up and down player who needs to be more consistent off the ground, with her return, add some more power to her serve and find a way to boost her auto-immune system so she isn’t dealing with viruses every other month. Alternate Caroline Wozniacki recently told the London Times that she’s still a “great” player. While I do think she can still contend for Slam titles given a few substantial improvements, she certainly has not been great over the last two years by any stretch of even her Danish fans’ imagination. Great players don’t missed the cut at the WTA Championships two years in a row. Sloane Stephens, 20, was the other alternate, and clearly as the youngest player in the top 12, she had a very good year in many ways, especially by reaching the second week of every Slam. But she now appears to be very uncomfortbale in her own skin and has been fearful of talking to the media since the spring after she publicly laid into Serena. She needs to mature if she going to challenge for the top 5 in 2014. 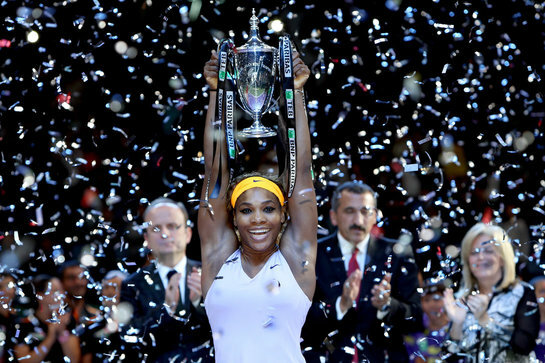 All in all, this was Serena’s year. She won 11 titles, including Roland Garros and the US Open, and registered a 78-4 record (.951), the best winning percentage since Steffi Graf in 1989. She won a record $12.38 million in prize money. She will not call this season her best ever as in 2002 she won three Slams, but it was top 3 in her eyes. Even at 32, she feels like she can improve and since she really has over the past two years or so, don’t put it past her to do so again in 2014. She does not think it’s possible for anyone to go undefeated, but as she said earlier in the week, she had chances to win in all her four losses to Azarenka, Sabine Lisicki and Stephens. While Roger Federer, who is also 32, struggles to remain relevant as a super elite player, Williams is the standard bearer for the WTA. In fact, she’s the standard bearer for the entire sport. Look at the new issue of Tennis Journal ! Jelena Jankovic was upset with Serena Williams’ erratic behaviour as the favourite in the tennis betting struggled to beat the Serbian in the semi-finals of the WTA Championships. Williams appeared to weep into her towel and was yelling and gesticulating before she eventually saw off Jankovic 6-4 2-6 6-4. The American also tried to slow the game down at key moments in the encounter, leading an exasperated Jankovic to exclaim afterwards: “I never saw her do this when she’s leading. “For some reason, every time she starts losing, she starts serving slower or not running for certain balls. That’s something that as a player you have to pay attention to. “It’s not the first time when we played that she’s doing this. That’s her way of playing – or maybe when she plays against me. I don’t know. There has been previous conflict between the two players as, at Charleston in April, Williams claimed she was not ready to receive serve and made Jankovic restart her service motion, to the Serb’s annoyance. According to betfair.com, Jankovic is one of only two active players, the other is Venus Williams, to have beaten Serena on four or more occasions and she led 3-1 in the first set before the 32-year-old American hit back to win it 6-4. A string of errors by Williams allowed Jankovic to win five games out of six in the second set as she took it 6-2 but the number one seed responded by taking a 5-1 lead in the third, eventually clinching victory on her fourth match point. The ITF announced the official team nominations for the Fed Cup by BNP Paribas World Group Final between Italy and Russia in Cagliari, Sardinia on November 2-3. The home team will be heavy favorites in the contest, as Russian captain Shamil Tarpischev was unable to attract any of his top players to the competition for a variety of reasons. Italian Captain Corridor Barazzutti named world No. 7 Sara Errani, No. 13 Roberta Vinci, No. 31 Flavia Pennetta and Karin Knapp to his squad. Russia named 138th-ranked Alexandra Panova, No. 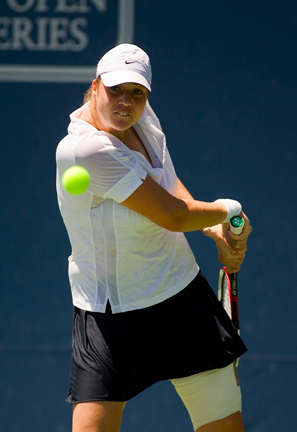 186 Alisa Kleybanova, No. 231 Irina Khromacheva and No. 317 Margarita Gasparyan as his team. The 24-year-old Panova, whom reached the 2013 Bogota final on clay, is Russia’s 12th highest ranked player. Former top 20 player Kleybanova accepted the invitation, but she is reticent about playing as she is in recovery from Hodgkin’s lymphoma and says she concerned about competing on outdoor red clay at the end of the season. The teenager Khromacheva won the Roland Garros junior doubles title in 2012 and has had success on clay on the Futures level. Gasparyan, 19, has won four ITF singles title. However, Kirilenko, Anastasia Pavlyuchenkova and Elena Vesnina chose to play the WTA Tournament of Champions in Sofia, which also takes place next week. Former Roland Garros champion Svetlana Kuznetsova declined to play as she has had spats with the Russia tennis Federations. Ekaterina Makarova, who is scheduled to play doubles with Vesnina in Istanbul and was the hero of Russia’s semifinal win over Japan, is contending with a right wrist injury.